Shalaev Alexey ~ Winter evening at Spiridonovka. 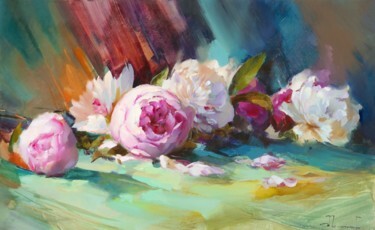 Shalaev Alexey ~ Quiet abode. Krutitskoe courtyard. Shalaev Alexey ~ "Granite Empire." St. Isaac's Square. Shalaev Alexey ~ «It has been a thaw time». Mosgortrans 1958. 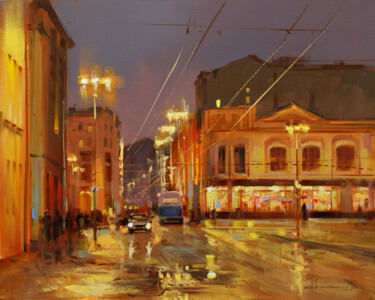 Shalaev Alexey ~ On Nevsky. 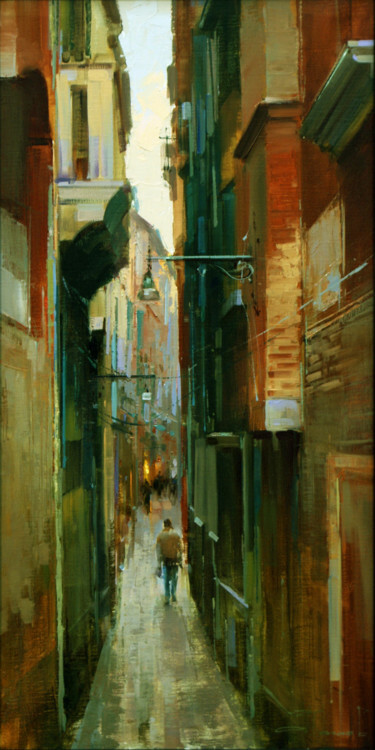 Shalaev Alexey ~ "The narrow maze of" Venice. Emerald Morning. Ilinka. 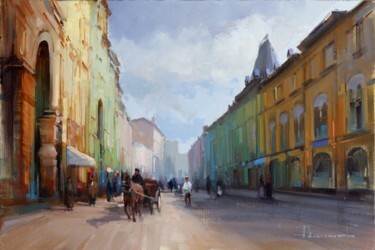 - Painting, 60x40 cm ©2012 by Shalaev Alexey - Figurative Art, Morning, the old Moscow, street Ilinka. Shalaev Alexey ~ Emerald Morning. Ilinka. Moscow River. 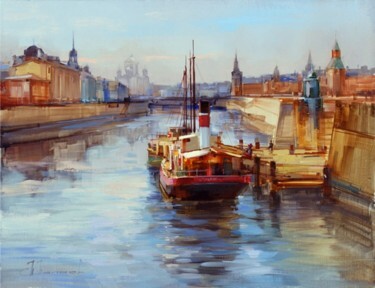 The old pier - Painting, 60x45 cm ©2012 by Shalaev Alexey - Figurative Art, Old ship at the pier Kremlin embankment. The historic center of Moscow. 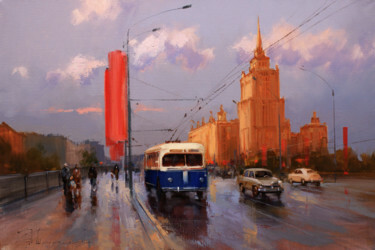 Shalaev Alexey ~ "Red October, blue trolley." 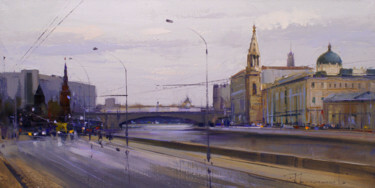 Novoarbatsky Bridge. Shalaev Alexey ~ «The palette of November». Old Moscow 1989. 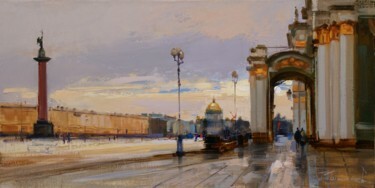 Shalaev Alexey ~ «Moscow Windows», Kuznetsk Bridge. 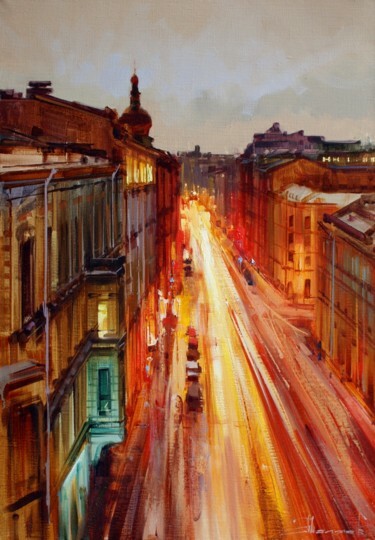 Old Moscow. 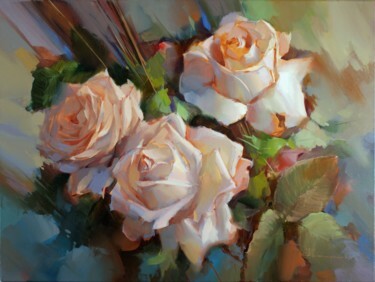 Shalaev Alexey ~ "Rendezvous on the evening sunset." Ilinskoe gate. Turgenev Square. 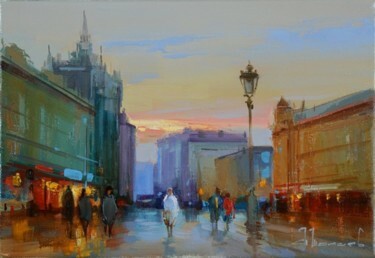 Old Moscow - Painting, 30x20 cm ©2012 by Shalaev Alexey - Figurative Art, Boulevard Ring. 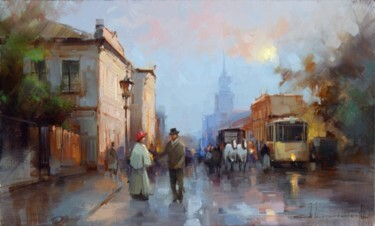 Evening, the old Moscow. 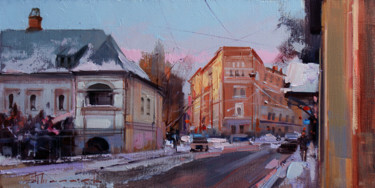 Evening on Prechistenka. 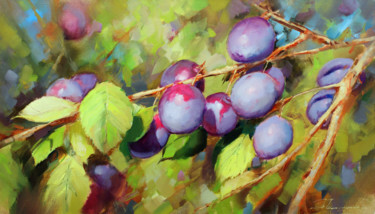 - Painting, 50x30 cm ©2012 by Shalaev Alexey - Figurative Art, The historical center of the 19th century. Moscow evening, meeting. 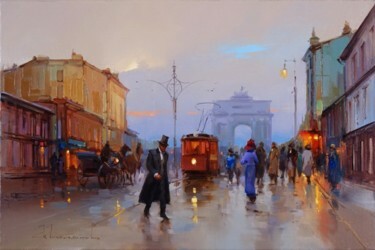 Shalaev Alexey ~ Evening on Prechistenka. 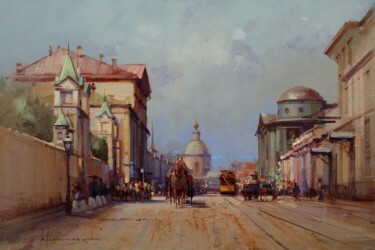 Pyatnitskaya Street. A series of - Warm air from the roof. 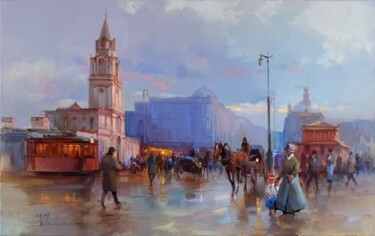 - Painting, 80x40 cm ©2012 by Shalaev Alexey - Realism, Old Moscow. Outdoors Pyatnitskaya from the bell tower of the temple of the Beheading of St. John. 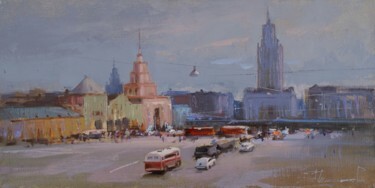 Shalaev Alexey ~ Pyatnitskaya Street. A series of - Warm air from the roof. 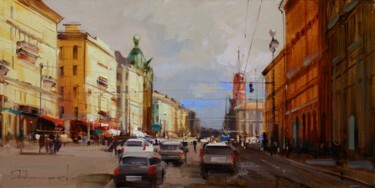 To the Tverskaya Outpost - Painting, 80x40 cm ©2012 by Shalaev Alexey - Realism, Old Moscow. 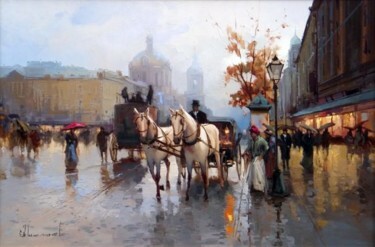 Tverskaya street, Tverskaya zastava, Old tram, horses, evening, kinds of moscow. Revolution Square, a series of " Warm air from the roof". 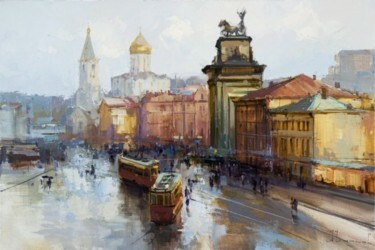 - Painting, 60x40 cm ©2012 by Shalaev Alexey - Realism, Old Moscow. View of the Revolution Square from the roof of Hotel Metropole. 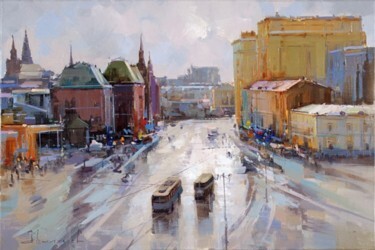 Shalaev Alexey ~ Revolution Square, a series of " Warm air from the roof". 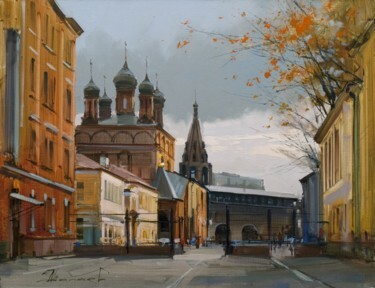 Street Nikolskaya. 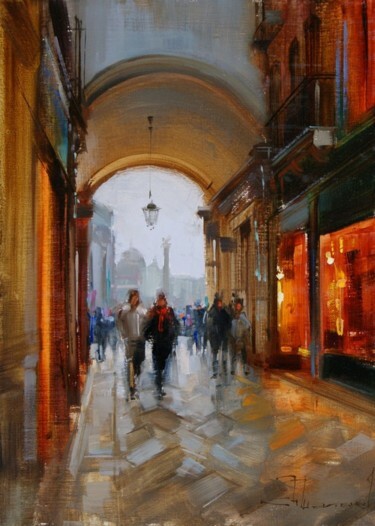 - Painting, 55x35 cm ©2012 by Shalaev Alexey - Figurative Art, Old Moscow. 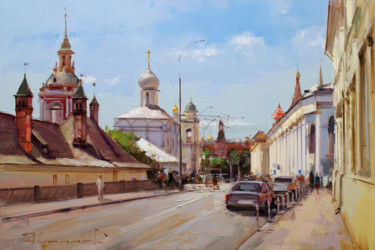 Shalaev Alexey ~ Street Nikolskaya. 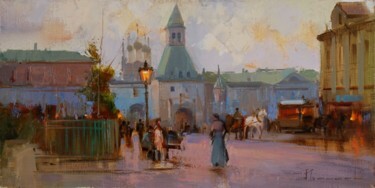 Evening on Tverskaya Street, the walls of Strastnoy of the monastery. 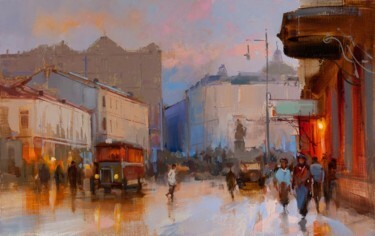 - Painting, 80x50 cm ©2012 by Shalaev Alexey - Figurative Art, Pushkin Square, Old Moscow. 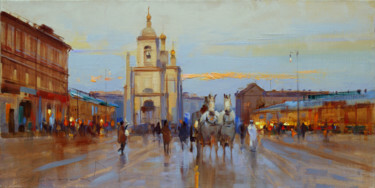 Shalaev Alexey ~ Evening on Tverskaya Street, the walls of Strastnoy of the monastery. According to Moss, the Pashkov House. 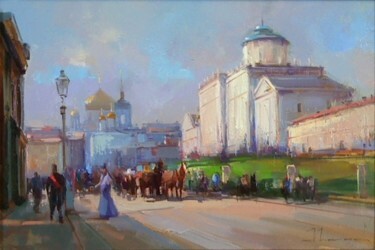 - Painting, 45x30 cm ©2012 by Shalaev Alexey - Figurative Art, The historic center of Moscow. 18th century. 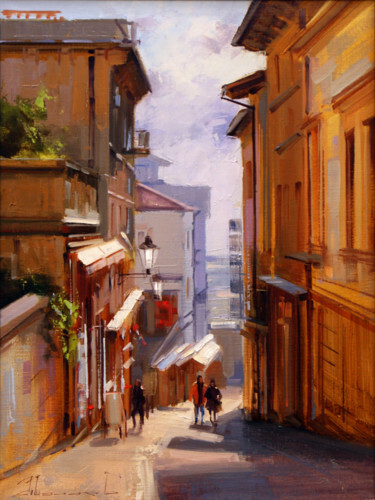 Old Town. 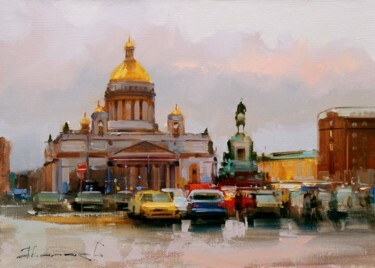 Shalaev Alexey ~ According to Moss, the Pashkov House. 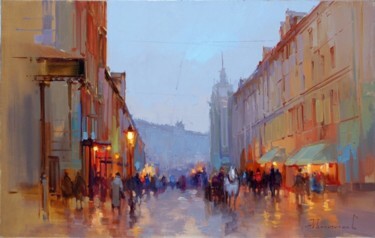 Shalaev Alexey ~ Old Basmannaya street. 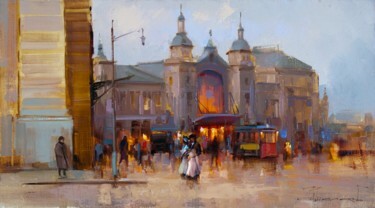 From a series of "Old Moscow"
"At the station at 8 pm." 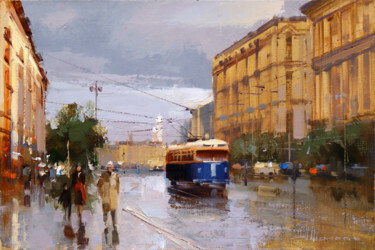 Tverskaya Zastava - Painting, 45x25 cm ©2014 by Shalaev Alexey - Old Moscow, evening, rendezvous, tram.